"I came that they might have life, and might have it abundantly." "But your iniquities have separated you from God; and your sins have hidden His face from you, so that He will not hear." "Christ died for our sins . . . He was buried . . . He was raised on the third day, according to the Scriptures . . . he appeared to Peter, then to the twelve. After that He appeared to more than five hundred . . ."
"Jesus said to him, "I am the way, and the truth, and the life; no one comes to the Father, but through Me." "For Christ also has suffered once for sins, the just for the unjust, that He might bring us to God . . ."
"But as many received Him, to them He gave the right to become children of God, even to those who believe in His name." "For by grace you have been saved through faith; and that not of yourselves, it is the gift of God; not as a result of works, that no one should boast." "Behold, I stand at the door and knock; if any one hears My voice and opens the door, I will come in to him." ". . . If you confess with your mouth the Lord Jesus and believe in your heart that God has raised Him from the dead, you will be saved." "For whoever calls upon the name of the Lord will be saved." "He who has the Son has life; he who does not have the Son of God does not have life. These things I have written to you who believe in the name of the Son of God, that you may know that you have eternal life, and that you may continue to believe in the name of the Son of God." Have you given your life to Jesus Christ? 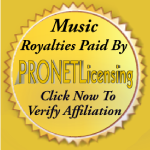 ASCAP, BMI, SESAC, SOCAN & Sound Exchange royalties paid thru PRONETLicensing. Copyright Classic Christian Rock Radio 2004 - 2019. Classic Christian Rock Radio is a licensed PRONETLicensing broadcast affiliate.